News and Finding What Matters! Can we have a moment of complete and total honesty? There is too much news. There is simply too much. No one is capable of the input. Much of the news out there isn’t much at all. In many cases it’s a collection of stories about things we feel obligated to care about. Much of it we don’t and our mind knows the difference. Just think about the news you absorb versus your level of retention. How do you feel about what you read in the last week. Could you name 5 “news stories” that you read? Knowing what we know there is only one way to view news effectively. You have to filter your information and spend time on the issues that are important to you. This can also be quite a challenge because many news sites are so littered with sidebar action that its hard to focus on the one story your reading. There are sites out there, however, shooting out the articles that you are interested in. Its not always easy to find them. 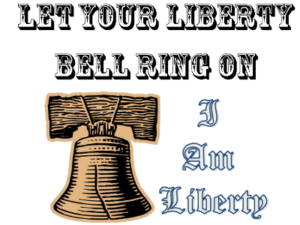 Luckily for you Wednesday on the I AM Liberty show we are going to have the curator of one such site. 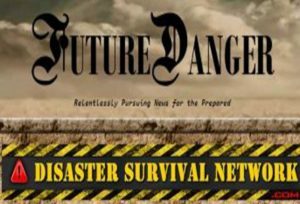 Future Dan is the man behind the website Future Danger and has taken news aggregation for preppers and patriots to a whole new level. This site is pulling from a ton of sources and bringing you headlines that sink in and information that sticks. Future Danger also has an incredible layout and color coded scheme based on the type of news you are looking for. This makes it a highly navigable website with deep info. If you are a like me and feel burnt out by reading half news most of the day don’t miss this show. There is a limit to how much we can take in and that is not a joke. Its important that we become more efficient with what goes into the mind. Join us as we talk to one of the new figure heads in niche information today. Listen to this broadcast or download “News and Finding What Matters” in player below! Previous: Previous post: All Things Fishing!